FISHERMEN stumbled upon a "bizarre" sight barely alive in the Capricorn Coast waters this week just metres from where they had taken a dip. After getting snagged on their first cast at Sandy Point, a visitor to the region swam out to retrieve his lure before walking a few metres down the beach for some better luck. 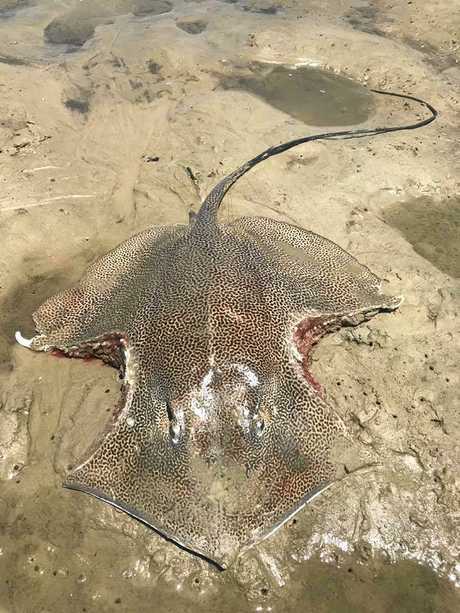 Family friend, Cassandra Tooker, said the man took a couple of steps into the water at Corio Bay and noticed a mauled stingray in the sand. 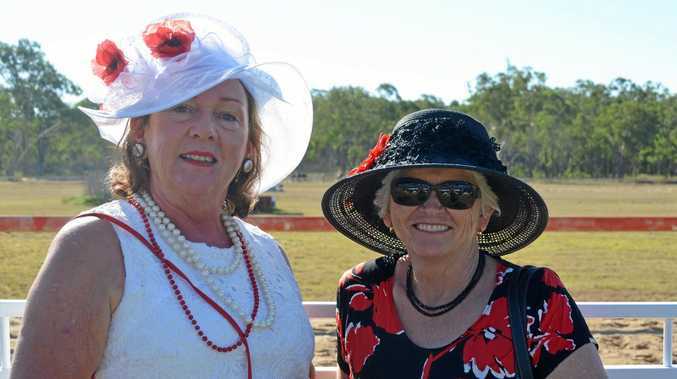 Ms Tooker re-told the story saying they were shocked to see the animal with two large, almost identical, bite marks taken out of each wing. "It was still alive but barely and by the time they had retrieved it out of the water the poor thing had already passed away due to its injuries," she said. In shock of the weird find, photos were posted on social media which caused an eruption of discussion. 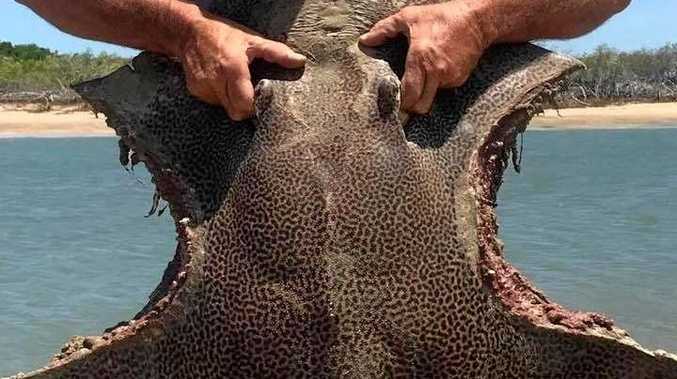 Some said bullsharks may have been the culprit while others questioned the symmetrical bites saying the wings were deliberately cut by fishermen. 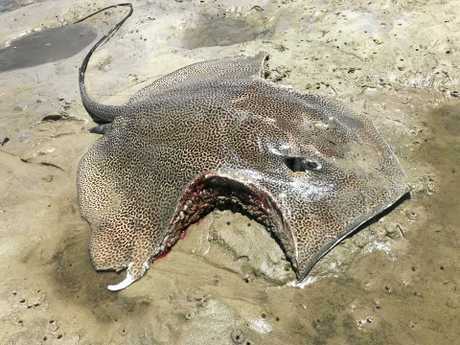 "There wasn't anyone close enough to them that could do that sort of damage and for the stingray to swim that sort of distance with those injuries and still be alive (is unlikely)," she said.